This stew is as near to my Spanish flavor food memories as Paella. It’s a staple in most homes, and slightly change the ingredients, you could totally find this on many tables across the world. It can be a part of a lovely brunch, tapas meal with friends, or a nice heart warming bowl of soup for lunch or dinner. It has that light broth, so nothing heavy about it. 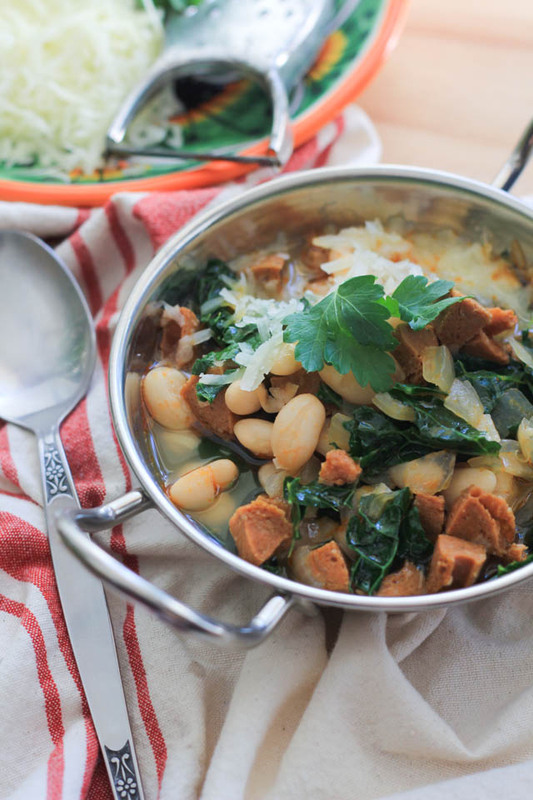 Yet it’s filling from the creamy white beans, kale, and chorizo. That chorizo flavor seeps into the broth and beans while cooking, making the broth a bit richer in taste than other bean soups. It was super satisfying in a way I could only explain like this… like when you close your eyes because something is so good and warms your belly. It was like that. Simple well made Spanish food. Beans are such a great source of nutrition too, and they are even better when they are high quality, which is why these are so creamy. Have you ever heard of creamy beans? It’s how they are grown and then cooked that lends to this perfect texture, which makes the soup so good too. 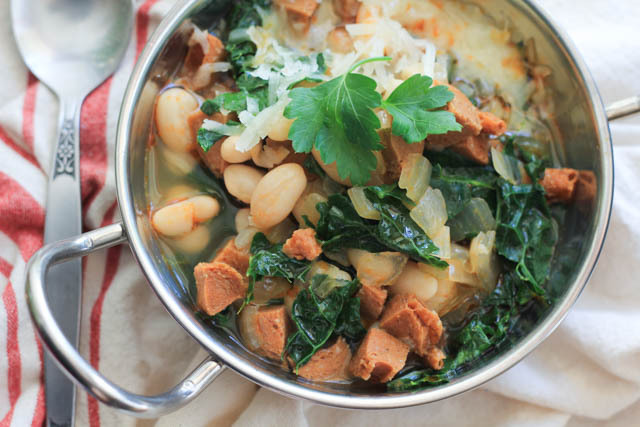 Beans are a great source of protein, fiber, and iron, so this soup is full of good for us stuff! I could totally picture myself eating this in Spain with a good chunk of bread. That thought alone made this soup that mush more delicious. I have been to Europe but never to Spain, I see myself changing that sooner than later. It calls to me, the only way that changes is if I go right?!! *If you can’t find Spanish Smoked Chorizo in stores or online, you could substitute it with Mexican chorizo. Which is also more cost effective. Soak 3 cups dried uncooked beans overnight, covered by 2 inches water. Heat olive oil in a 6 quart dutch oven or large pot over medium heat, once oil is shimmering, add onions and chorizo. Cook for 5 minutes, stirring occasionally. Add stock and all of soaked beans, stir. Bring to a boil over high heat, reduce to a simmer over medium low heat. Cover and cook for 1 hour over medium low heat. Remove lid and continue to cook for 30-40 minutes until beans are tender. Taste for seasoning, add a pinch of salt if needed. The chorizo and cheese are slightly salty, so be careful when adding salt. 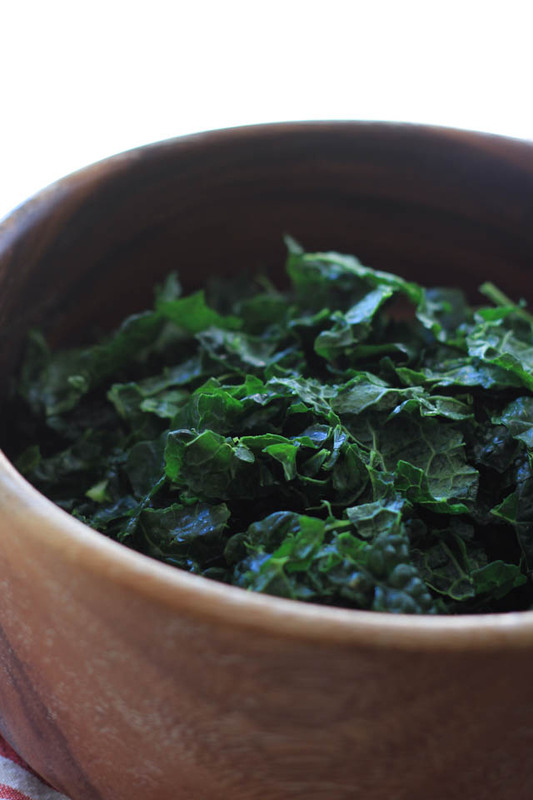 Add kale, stir to combine. 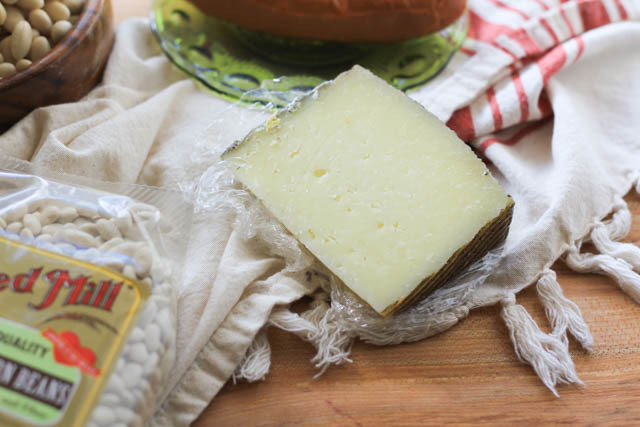 Serve immediately with grated manchego cheese, fresh chopped parsley, and good bread. Store leftovers in an airtight container for up to 3 days. Check out my other recipes for Bob’s Red Mill! This is exactly the kind of hearty stew that I crave the second I feel under the weather. The beans and sausage are such a great match! I’m so sad that I always get stomach aches from chorizo… This looks delicious! Wow that’s sad, but thank you! Love that you used dry beans here. 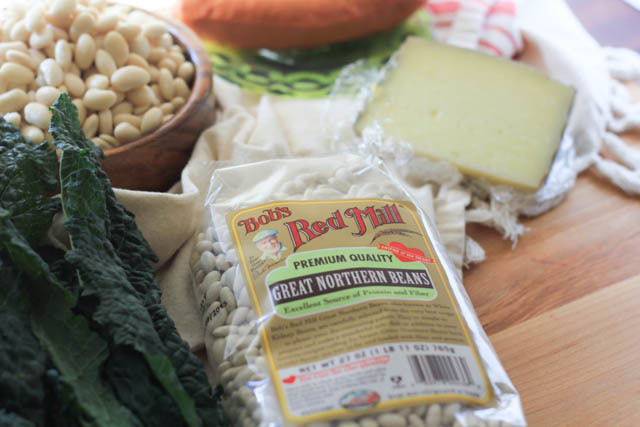 Great northern beans have wonderful flavor, especially in soups and stews. Thanks for sharing! I would LOVE this for breakfast or dinner….it looks so flavorful! This looks so fresh and delicious. YUM!